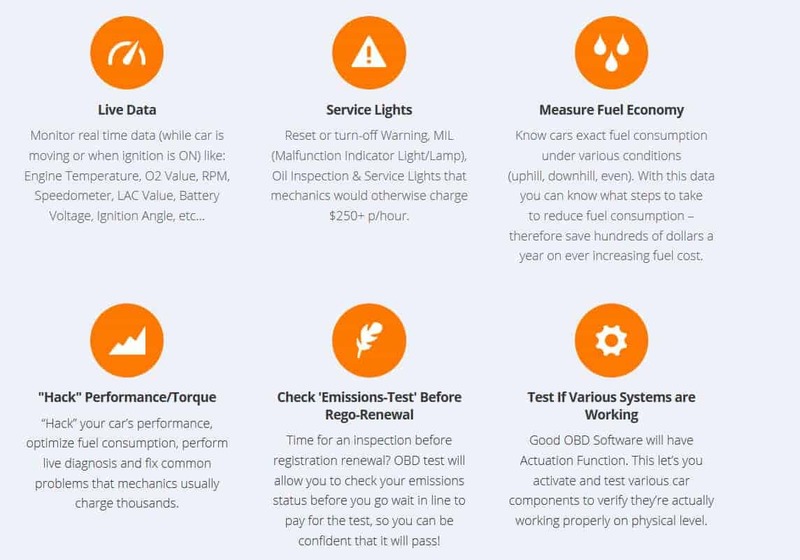 TOAD (Total Car Diagnostics) Review – Too good to be true? So you may have heard of this shiny software that promises ECU programming, OBD2 diagnostics for any make and model, comprehensive performance reports, walks your dog, polishes your rims while you sleep... right? Well, while the last two may indeed be an exaggeration, we want to discover whether the first promises are true. Are we dealing here with the best software for cars ever, or is it a piece of junk? Keep reading, there's a lot to cover. Massive price advantage Vs. comparable hardware solutions. More expensive than other OBD2 software-only solutions. With most OBD2 scanners, the purpose of the device is to show you why your check engine light is on. Since this one light can signify a wide range of issues, it’s necessary to use the scanner to determine what’s going on so that you can fix it appropriately. Since 2011, TOAD (Total OBD Auto Diagnostics) goes one step further by enabling you not only to check what’s wrong with your vehicle but do regular check-ups and fine-tuning. Thus, you can utilize the TOAD system at any time to ensure that your car is running as smoothly as it should be. What makes TOAD so unique is that it allows you to capture nine types of data, from onboard test results to freeze frame information about your various internal systems. Not only that, but it will pinpoint the exact location of any issues (i.e., spark plugs) that arise so that you can make fixes on your own, rather than having to take it to a mechanic. If you have a car with an ECU chip, the TOAD system will enable you to make adjustments to your car’s settings so that you can fine-tune its performance. While we won’t get into too many details about how that works (that would be a whole other article), it’s nice to know that you have the option at your fingertips. Technically speaking, anyone who wants to stay on top of routine maintenance for their vehicle will want to invest in an OBD2 scanner. However, because the TOAD system is so advanced and allows you to do so much, the ideal candidate will be someone who really wants to get the most out of their car. Simply put, TOAD is a professional-grade scanner that will help you figure out what’s going on in your vehicle at all times. Thus, if you are a DIY enthusiast who wants to be able to fix minor and routine problems in your garage, or you’re a mechanic who needs a reliable to find issues in your client’s vehicles, the TOAD is right for you. On the flip side, if you’re not interested in putting all of the tools and knowledge that the TOAD will provide to good use, then you don’t need to invest in this system. Standard OBD2 scanners are a good way to avoid having to see the mechanic just to find out that your engine needs some fine tuning, so any other scanner will be sufficient. What’s Included With the TOAD? For the most part, this system lives online. 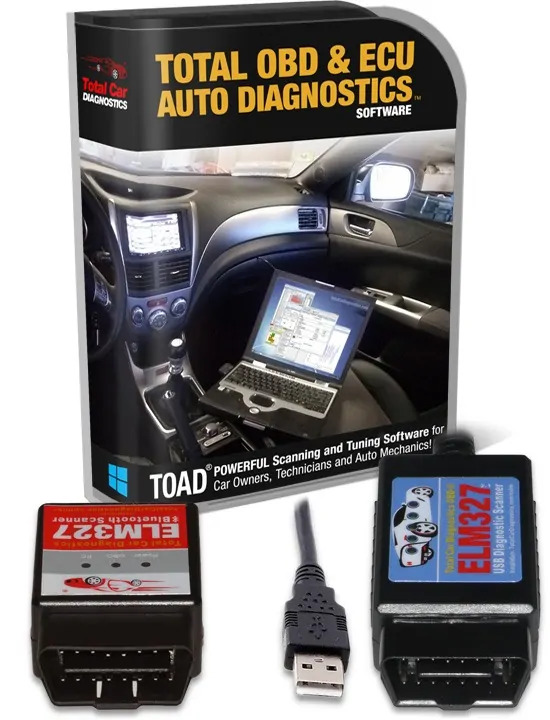 What makes TOAD better than most handheld or consumer-grade OBD2 scanners is that you get access to 17 different software applications that you can access online. So, when it comes to hardware, all that’s included with this package is the Scanning device itself, which has a USB attachment so you can plug it into your computer. However, you can upgrade to a Bluetooth system that enables you to connect to your car wirelessly. We highly suggest getting the wireless setup for added convenience. Otherwise, you’ll have to do all of your diagnostics and fine tuning while sitting inside the car, which can be somewhat annoying with a laptop. Since you can’t sit in the driver’s seat, you have to do everything from the center console or the passenger side. While you could get a USB extender, it’s much better to upgrade to Bluetooth instead. When you buy TOAD, you will also get free software updates for life. Because vehicle manufacturers change their codes and computers all the time, it’s imperative that you aren’t left behind. Fortunately, that’s not an issue with this system. Right now, you should be pretty excited about the TOAD, and we haven’t even gotten into any details yet. While the knowledge that you can access practically any OBD2 scanner codes and upgrade your car’s ECU should be more than enough to get you to buy, let’s cover some of the specific highlights that you get with this system. Some OBD2 scanners will tell you what’s wrong, but they won’t allow you to reset the light, meaning that you have to go to a mechanic just to turn it off. Ideally, you’ll also fix whatever problem caused the light to turn on in the first place, but it seems like a waste of money if you can solve the issue yourself. As regulations regarding emissions get more strict, it will become imperative to check to see if your car will pass. If you’ve ever done one of these tests before, then you know that you’re paying for someone to do what you can do with the TOAD. They plug their scanner in, run the car for a couple of minutes, and then tell you pass or fail. Now, you can do that in the comfort of your garage, rather than paying someone else to do it. You can also get a detailed report of your vehicle’s performance so that you know if there are any areas in which you can make improvements. 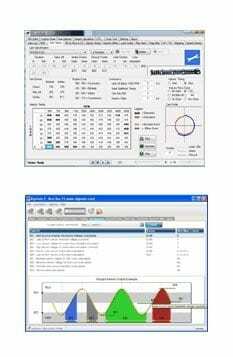 OBD2 scanning regulations went into effect in 1996. Thus, any car that was manufactured after that date has to be compatible with this system. That being said, many manufacturers like to come up with proprietary codes for their vehicles. ( read more about car diagnostic codes list here. This is part of the reason why you need lifetime updates because these can change on a whim. Companies like GM, Ford, and Toyota all have different coding systems, so you have to make sure that you have the right version for your vehicle. Overall, almost any car can be diagnosed with TOAD. Also, modern vehicles with encrypted ECUs are readable by this system, so you should be able to access the onboard computer and make adjustments without any problems. We mentioned that you can get a comprehensive report when checking your car’s emissions. However, you can monitor all of your vehicle’s systems, such as engine temperature, LAC value, battery performance, and more. All of this data is transmitted and managed in an easy-to-read layout so that you aren’t confused about anything. Also, you can save these reports and compare performance tests over time to ensure that your vehicle is always in pristine condition. Are all vehicle makes and models covered by TOAD? As long as your car was made after 1996, TOAD has the most up-to-date codes and procedures available. Any make, any model. Does TOAD check all of my car’s systems? Unfortunately, OBD2 scanning is limited to only the engine and transmission. Thus, systems like airbags, brakes, and other components are not covered. That being said, the engine and transmission do account for the vast majority of vehicle issues, so you should be able to figure out what’s wrong with your car regardless. What operating system is TOAD compatible with? It can work with any version of Windows. Unfortunately, it does not work on Mac or Linux. However, you can get Windows running on Mac through a virtual machine, which will enable you to use the software on your Apple computer. If I’m not a mechanic, will that create an issue when trying to diagnose problems? Part of what makes TOAD so accessible is that there are tons of manuals and user guides for it online. Thus, even if you’ve never done anything with your car before, you should be able to learn how to use TOAD effectively. So, after our thorough analysis and use of the tool, we conclude that the TOAD is solid. Never be in the dark about you check engine light ever again!